Using our design insights and Preferred Vendor Network, we source and ship your chosen specifications for your builder to install. 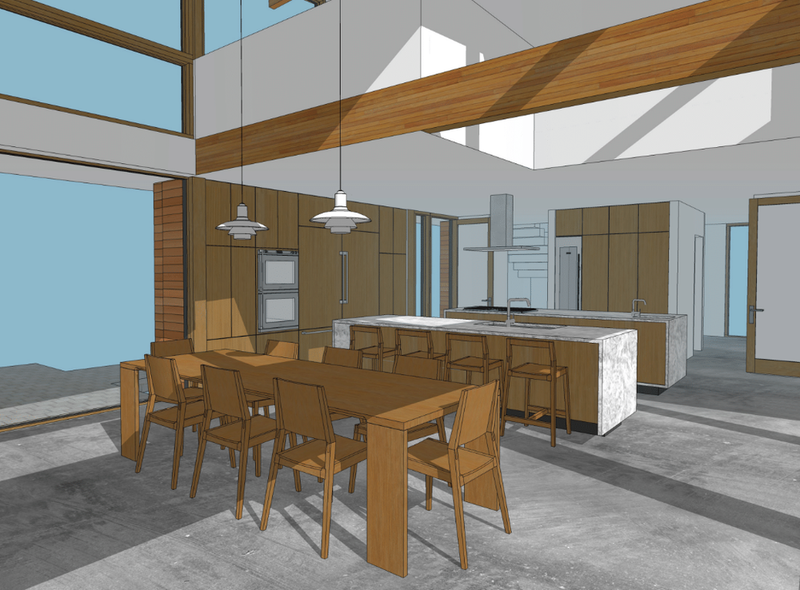 Some, like cabinetry, come as part of our standard prefab package, while others are additional options we can help you source. We know how integral cabinetry is to the look and use of your home, so we work closely together to create just the right design for you—choosing from our library of details and finish options to complete the vision of your home. Click here to see our cabinetry portfolio. We fabricate the cabinetry in a factory and deliver it to your site to be installed by your local contractor. Using a frameless construction technique, we offer multiple wood species and finishes for a sleek look in a range of spaces. In addition to the weather-tight shell and interior walls, our package also includes cladding, flooring, decking, doors, windows, and built-in cabinetry. We are also happy to work with you to select and provide additional specifications, including finishes, fixtures, appliances, and furnishings. We have streamlined the process by supplying a curated selection of options to choose from. We work with a family of trusted vendors we have carefully vetted to ensure you have access to high-quality products that fit seamlessly into our homes. Though the finishing is managed by your builder, we are available to provide support wherever needed to ensure your home comes together as planned. See what your builder provides here.